My name is Andrew and I have been a locksmith for 15 years I cover a wide area from West Sussex to East Sussex and even into London. I carry all tools including ones for non destructive methods for opening doors for upvc and wooden doors. I find nothing better than a happy customer at the end of the job. Welcome ARM Locksmiths are a local, independent and reliable locksmith company. We are locksmith experts in lock repairs and replacements for both commercial and domestic properties. 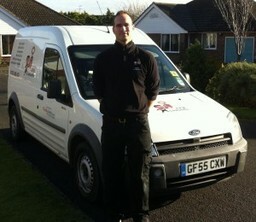 We have a 24 hour on call service, covering everything from being locked out to burglary repairs. There is no call out fee and we aim to be with you within 30 minutes. We provide a highly professional service at very affordable prices. All our work is guaranteed with a 12 month manufacturers warranty on all parts, and a 90 day guarantee on all workmanship. We supply all types of locks including a range of mortice dead locks and sash locks. Brands supplied and fitted include Yale, Chubb, ERA, Ingersol, Union and Legge. To add extra strength and security to your existing locks, we also provide and fit London Bars, Birmingham Bars, hinge bolts and multi purpose bolts. Locked Out? If you find yourself locked out, ARM locksmiths also uses specialist techniques to gain entry without causing damage to your wooden or UPVC door. Just moved in? Have you given any thought to how many keys were cut and handed out by previous owners? Its essential that you check the small print on your insurance documents, to ensure that you do not invalidate your cover. New locks also give you peace of mind, knowing that you are the only one with a set of keys to your new property. The type of locks on your doors and windows can affect your insurance premiums. Worried about door or window security? Sturdy locks are your main protection against potential break in. If you have concerns about the security of your doors or windows, we can visit you at home and offer a complete lock change service.